Engage and connect with other women age 50+ in transition. Know how to create a meaningful life. Create a "next steps" action plan. 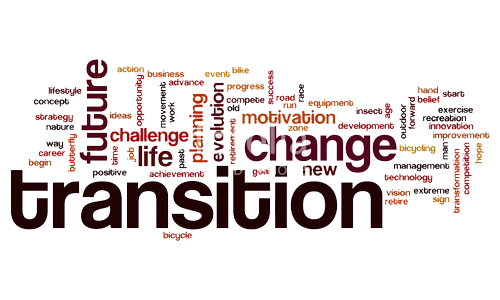 If you are exploring new possibilities, anticipating or newly exploring retirement, rethinking your life and/or work, contemplating changes in your lifestyle or want to expand your networks, this informative workshop will provide a guiding framework to understand the process of transition, with structured conversations for personal reflection and interactive learning. What sets this Workshop apart is the opportunity to explore your transition within a supportive community of women, and to also make connections that can continue to enrich your life and sustain your journey over the next several years. "It provided a very valuable tool to help me move forward." "The workshop is a credit to TTN and its mission." "I appreciated meeting a group of intelligent women in the same stage of life with whom I can share experiences and that can be a source of support and encouragement for each other." "Wonderful leadership and workshop structure plus my own take away action plan"
The workshop will be co-facilitated by Rhoda Berkson, Nancy Goldwasser and Barbara Isenstadt, all experienced facilitators and active members of our LI Chapter. Please join us for this valuable session. Cost is $35.00 for members and $45.00 for non-members, with lunch and materials provided. Participation is limited to 30 attendees. Registration and payment deadline is April 23rd. Please contact Lindsey Draves at Lpdraves@aol.com with any questions.